CUC achieves the "Investors in People" (IIP) Standard in January 2006. 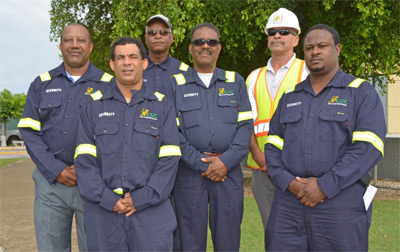 For a better experience on Caribbean Utilities Company, update your browser. Internationally renowned corporate awards are always nice to receive but when the award recognises just how much stock a company holds in its employees, bringing it alongside some well-regarded names, it is very welcome indeed. For CUC, achieving the "Investors in People" (IIP) Standard in January 2006, demonstrated the Company has achieved a high watermark in terms of both training and development of its people. The Investors in People Standard is a United Kingdom-based business improvement tool designed to advance an organisation's performance through its people. Developed in 1990 by a partnership of leading businesses and national organisations, the Standard helps organisations to improve performance and realise objectives through the management and development of their people. Since it was developed the Standard has been reviewed every three years to ensure that it remains relevant, accessible and attractive to all. The first stage for the Company, which began in early 2004, was to organise a staff survey, from which the Company's strengths and weaknesses were determined and an action plan was created. The process was interrupted in September 2004 as Hurricane Ivan took a devastating toll on the Cayman Islands. The issue was re-addressed in 2005 and following a second staff survey, Investors in People sent an assessor who interviewed a cross-section of staff numbering around 30. After two days of interviews, CUC's action plan involved ensuring staff orientations are conducted, utilising management forums and providing feedback for staff. Performance appraisals for staff, meanwhile needed to be made more friendly and the grading system changed to an easier-to-understand series of letters rather than less meaningful numbers. Eventually, the performance appraisal system was revamped and staff orientations were increased to meet the Standard's requirements. 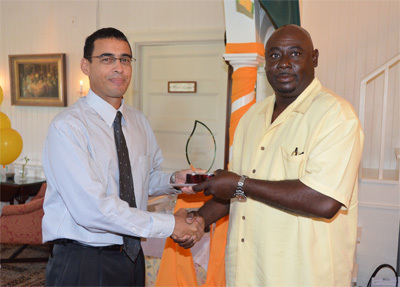 While it was certainly good news for the Government that a large Caymanian company received this award, particularly one that has made such an important contribution to the economic development of the country, the benefits are also being recognised by staff, with the apprenticeship programme gaining momentum and increased training opportunities. It also helps when employees see the succession policy that CUC operates as they can see themselves progressing within the firm, especially with the majority of CUC managers being Caymanian. In March 2009, the Company once again met the standard for the Investors in People programme. Achieving the recertification is testimony to the work that has been done across the Company through our investment in training and development, the sharing of important information, and the creating of an environment that is safe to work in and fun to be a part of. Copyright © 2019 CUC Cayman, All Rights Reserved.